After you are all set up with supplies, place the protective insert inside the shirt. Get the letters ready and place them on the shirt, where you want them. There is a sticky side to the stencil letters. Sticky side down, of course! You may have to use some letters more than once. I did! If you do, too, then rinse the letter thoroughly and pad it dry with a paper towel before placing back on the shirt. Apply the Tulip Slick paint to the end of your paintbrush. Dab on the paint, carefully to the letters. Do not wait to take the letters off. 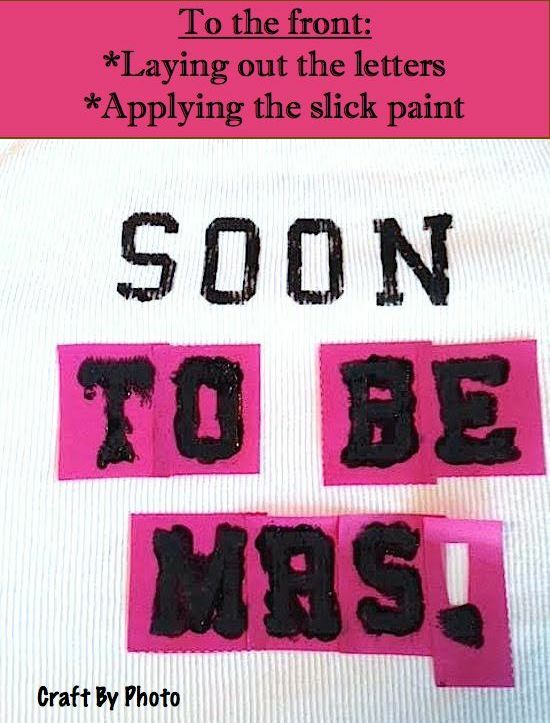 After applying the paint, take the letters off immediately and rinse them. The paint dries quickly! You don’t want the paint drying and clogging the holes in the screen of the letters.